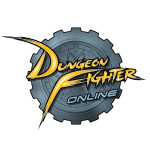 Can you believe that it's been a year since Dungeon Fighter Online's official launch? It seems like only yesterday that our brave new Dungeon Fighters were fighting through Lorien and saving Seria from Goblins. Now, they're battling in raids against the Goblin King Golgo and Captain Petrilisk, defending Arad against the most hideously evil and awe-inspiritng of monsters. Without your support and loyalty, Dungeon Fighter Online would not be where it is today, and so to celebrate, we're hosting a never-before-done-event, along with giving out FREE avatars to honor DFO's First Anniversary! Event 1: Get your Party Faces on! Get your Party Hats and Party Whistles because it's DFO's 1st Anniversary! Join us in commemorating this event by rocking these perrmanent and festive avatars! !! Players can redeem 1 Party Hat (hat avatar), and 1 Party Whistle (face avatar) to the character(s) of their choice. You can send both avatars to 1 character, or to 2 separate characters. It's up to you! Choose your character (in the drop-down menu) wisely. !! Party Avatars are permanent but untradable. 3x EXP (dungeon clear EXP only)!!! We thank you, Dungeon Fighters, for helping to bring Arad into this new era! Discussion in 'DFO News' started by Bernelli, Jun 9, 2011. Discontinuing "old-wiki" on August 1st, 2011. As previously mentioned problems with spam and security on the old wiki, we have deployed the new Wiki system. To help finalize the transition, we will be discontinuing service of old-wiki in favor of the new Wiki. This change over will complete on August 1st, 2011, where we will be completely removing the old-wiki. With high possibility of of Second Impact's imminent incoming, some of the information in the old-wiki will be out-dated, and require clean up anyways. If you believe any of the current information are useful, please port them over into the new wiki. Please be reminded again, that the old-wiki will be completely removed as of August 1st, 2011. Discussion in 'SSA Announcements' started by chiisana, Jun 5, 2011. Not only is Arad welcoming the Thief class, and bidding adieu to the old Fatigue Point System, but DFO is expanding! experience the newly specialized skill system, and the power of Heroic Rare items. To celebrate the Rebirth, the EXP curve has been rebalanced! so that you can explore the horizons beyond Arad! Discussion in 'DFO News' started by Bernelli, Jun 1, 2011. It's pretty much official. We're getting 2nd Impact. Act X: Rebirth pt2 - the end of the FP system! Have you ever needed to collect that one last quest item to complete your Epic quest, but couldn’t because you were out of Fatigue Points? you’ll be happy to know that the old Fatigue Point system is GONE! With the new Blitz Points system, not only can you play for as long as you want, but you’ll be rewarded with bonus EXP! Discussion in 'DFO News' started by Bernelli, May 24, 2011.